Question: is buy-to-let still a viable long term option for the smaller investor? Answer: From 1st April 2016, all second properties, whether for investment or residential use, are now subject to a 3% surcharge on Stamp Duty Land Tax (SDLT). However, as an investment, property should be considered over at least a twenty year period. This allows for peaks and troughs in the market. Thus, an extra 3% would have historically paled into insignificance. Oh yes, but I hear you say “What about the new rules regarding tax relief on mortgage interest?”. Well, for once, the ‘little man’ gets away scot-free. The new tax rules only affect higher rate tax payers, although the income from buy-to-let may take you into a higher rate tax bracket. The prudent investor will plan to pay off the buy-to-let mortgage by the time of their retirement. Thus, there will be no mortgage interest on which to claim relief, so the situation will be no different from before. Unfortunately, for the investors with larger portfolios, tax relief on mortgage interest will only be allowed at the basic rate by 2020. However, if this larger portfolio has been cleared of mortgages, then again the new tax rules regarding mortgage interest will not be relevant. The moral of the story is that by initially borrowing as little as possible and by clearing the mortgage as quickly as possible, the small investor will have the least problem with the new tax rules. These rules should not deter prudent long-term investment, particularly with regard to a retirement income. Christina joined Buss Murton in February 2015 and is local to the area. She qualified as a Solicitor in 2006. 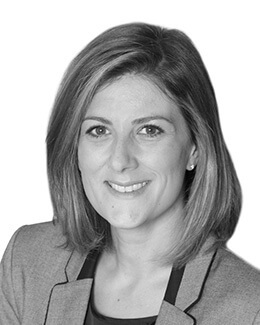 Christina deals with residential conveyancing including Freehold and Leasehold residential sales and purchases, new-builds, re-mortgages, transfers of equity, shared ownership and park homes. She has recently taken over conduct of commercial property work in the branch, the variety of which she enjoys. This can be from renewal of commercial leases, sales and purchases of business premises, option agreements and commercial loans.